My first steps into the online book community are very much behind me. I don’t remember how and when, but I do remember looking for a review of a book I was on the fence about buying, and in doing so I stumbled upon BookTube. Reviews was one thing, but I really liked all the inventive and creative tags floating around. I think the very first one was the Seven Deadly Sins tag, but the Book Sacrifice Tag by Ariel Bissett belongs to my early BookTube memories as well. Fate wills it that I do this tag, cause I was tagged by the lovely Orang-Utan. Do check her out if you haven’t already! This tag is quite the controversial tag, so consider yourself warned before you proceed. 1. An Over-Hyped book: You’re in a store when the zombie apocalypse hits. The military informs everyone that over-hyped books are the zombies only weakness. What book that everyone else says is amazing but you disliked do you start chucking at the zombies? Perhaps it’s my age, but at 27 I feel like a lot of YA novers are seriously overhyped. But then again, I do love The Hunger Games, Chaos Walking, Throne Of Glass, … so perhaps the fault lies with the books after all. However it may be, I have to agree with Orang-Utan on this one. The Fault In Our Stars was terribly predictable and even more terribly middle-of-the-road safe and sound and cliché. The characters annoyed me more than they provoked any other genuine emotion besides ennui. This is also the case for Looking For Alaska. 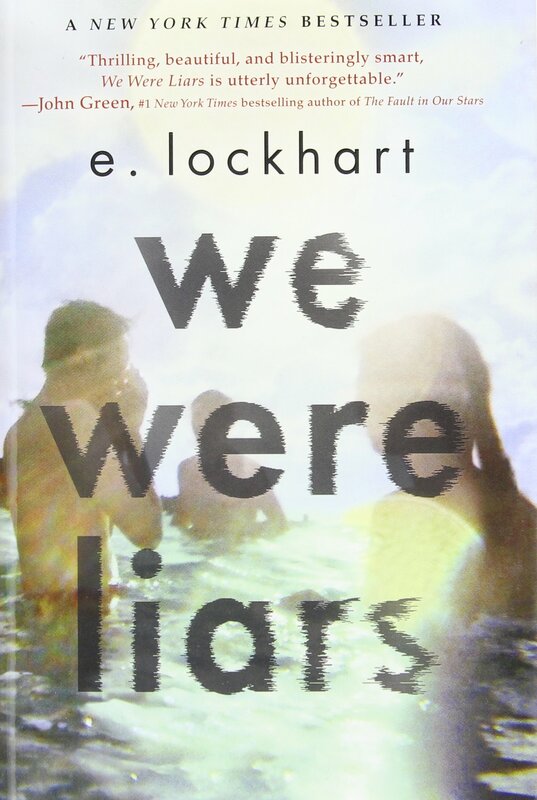 It might just be that John Green is overhyped..
Not stealing from Orang-Utan, but just as overhyped is We Were Liars by E. Lockhart. It felt like a bad episode of The O.C. to me, with privileged teens having a privileged summer and pretend like their life is woe. Surely they haven’t tried reading this book. 2. A Sequel: Torrential downpour. What sequel are you willing to use as an umbrella to protect yourself? Going with Breaking Dawn would be the obvious choice, but at this rate I could just stop writing this and tell you to go and read Orang-Utan’s post. 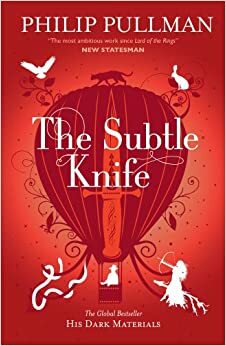 Perhaps a very controversial answer, but I really didn’t like Philip Pullman’s The Subtle Knife. I just did not enjoy The Northern Lights as a whole, but as far as sequels go, this one was pretty dreadful. Sometimes I feel like I missed something when I read these book years ago, cause everyone I know just adores this trilogy and all I remember is struggling to reach the end to be done with it. All three books currently lie in a box in the attic, but sometimes I contemplate giving them away, cause chances of rereading them are slim. But everytime I hesitate, cause perhaps I did miss something and should give them another try. Until then, I stand by my opinion that The Subtle Knife is just no good. A good second is The Girl Of Nightmares by Kendare Blake. While I really enjoyed Anna Dressed In Blood, that book just did not need a sequel and alas, the second one ruined the duology as a whole. 3. A Classic: You’re in English class and your professor raves about a Classic that “transcends time”. If given the opportunity to travel back in time, which Classic would you try to stop from ever publishing? I have read little to none classics, I am afraid. I did read some in high school for English class, but ever since I stuck with my dearly beloved Fantasy. 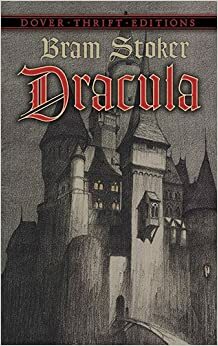 Of all the classics I have read, though, I had a very tough time getting through Dracula. It really pains me to say this, but for a novel about the legendary vampire, this was a snoozefest. En plus, I had a very hard time getting into the story because of the journal-style of writing. It felt all so very detached and I missed some tension. I do remember things getting better at the end, but the battle for my adoration was already lost by then. 4. Least Favourite Book: Apparently global warming = suddenly frozen wasteland. Your only hope of survival for warmth is to burn a book. Which book will you not regret lighting? 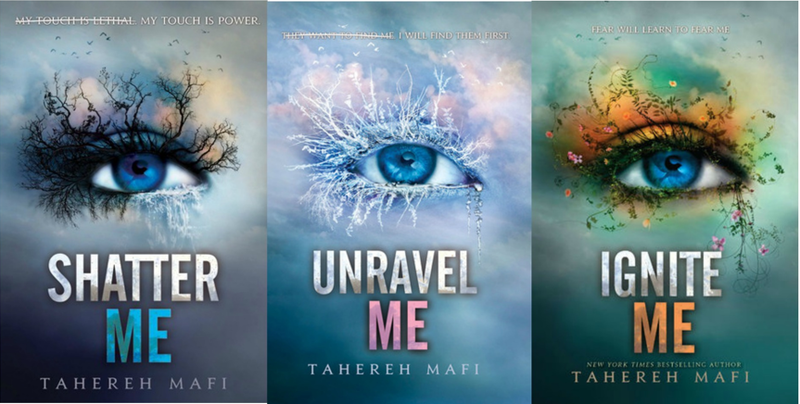 I wish I could surprise you with my answer, but I’ll stick with the Shatter Me Trilogy by Tahereh Mafi. I have read books a plenty, but these three – not counting the novella’s, which are also beyond dreadful – stick out as the worst books I’ve ever read. I should have stopped after the first one, but it’s like a train crash happening before your eyes. You see it happening, know the wreckage that it will be, but you can’t but watch. It’s not only the romance-fueled non-plot, but also the nonsensical metaphors and gimmicks used to veil the nothingness behind it. Sometimes, when doing tags like these, I cringe because I keep repeating myself. But then again, if it means that I’ve yet to read a book that’s even more terrible than these gladdens my heart, if only just a little bit. So there you have it, four books – or more – that I’ll willingly sacrifice to fire, water or zombies. Will you help me survive and throw them our as well, or will you subject me to peril only to save the books I’m about to destroy till the end of humanity? Tell me in the comments below. Also, we’re in this together, so start sacrificing those books Ana, Anna, Analee, RedheadedBooklover, Panda, Alyssa, Jess, Catia, Joey, Jesse, Nya, Kacie, CW, Bookkeeper’s Secret, Becca, Becca, Codie, Chloe, Chelsie, Cinderzena, Orang-Utan, Elza, Betty, Gel, Emma, Michelle, Jonas, Melissa, Aentee and Kat. I enjoyed we were liars as well but I have to say your honesty is really refreshing. Keep it up! If you ever are looking for more people to tag, I’m always looking for tags to try! John Green is definitely over hyped, and yes terribly predictable as you say. Probably one of the funniest book tags i’ve seen in awhile, I love it! Short but sweet. I totally agree about TFIOS – wayyy to cliche! And The Northern Lights…I only managed to read the first book and then gave up. As much as I (like you) think I may have missed something and need to give them another try, I just don’t think they’re for me. Shame the covers are so damn beautiful, haha. These questions are awesome! XD Thanks for tagging me.